Pitcher Robert Person had a MONSTER game at the plate once. 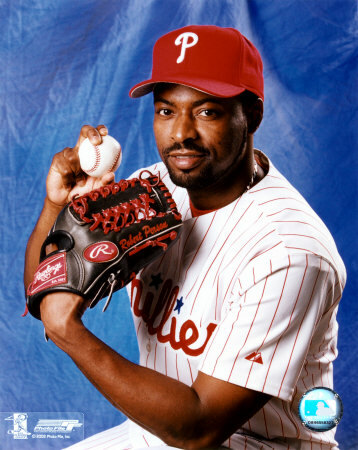 On June 2, 2002, playing for the Phillies, he had a 2-home run, 7 RBI game, including a grand slam. Amazingly, he would have hit two grand slams that day, and collected 11 RBI if the wind at Veterans Stadium had been a little different. Person’s improbable outing came in his first start after missing a month with an elbow injury. Despite his home run-hitting prowess, Person was an average MLB pitcher, who could have been excellent if not for a series of nagging injuries. He was born in Lowell, MA, and drafted out of the University of Arkansas by the Indians in 1989. He was picked by the Marlins in the 1992 Expansion Draft, but didn’t make his debut until 1995 for the Mets.